Description: Only One Cable Does All , No DC Power, Just USB Powered; No VGA Input, Just USB Input Product Feature: Touch & Play Just Suit Yourself NOT DC power, just USB Powered NOT VGA input, just USB Input 4-Wire Resistive Touch Screen USB Device Interface One cable does it all! Innovation USB-only connection---add monitors without adding clutter! 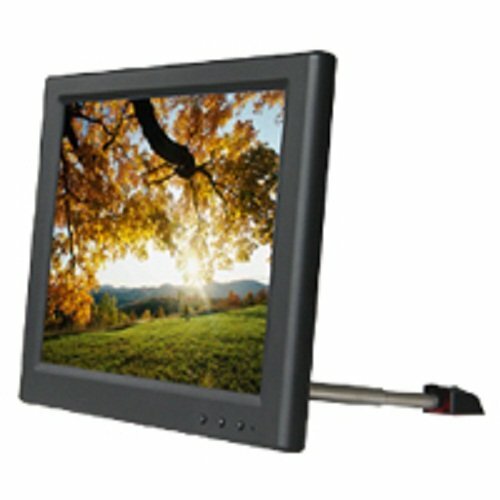 A USB Powered Touch Screen Monitor as Multiple Input/Output Device for Video Conference, Instant Messaging, News, Office applications, Game map or toolboxs, Photo Frame and Stock Casting, etc. Parameters: Panel Size: 8" TFT LCD Screen Resolution: 800×600 Touch Panel: 4-wire resistive Contrast: 500:1 Brightness: 250cd/㎡ Aspect Ratio: 4:3 Viewing Angle: 140°/ 120°(H/V) Input Power: USB(DC 5V) Power Consumption: ≤4.5W Mounting Process: Standard VISA Sockets Demension(LWH): 200×156×25mm Weight: 536g Accessories: USB Cable 1 Piece Standalone Bracket 1 Piece Driver Disk 1 Piece How to use it? Installing Monitor Driver (AutoRun); Click on display setting icon on system tray and see the menu; Setup menu for Screen Resolution, Colors, Rotation and Extention, etc. OS:Windows 2000 SP4/XP SP2/Vista 32bit/Win7 32bit What can you do with it? UM-80/C/T has thousands of useful and fun applications: keep your main display clutter free, park your Instant Messaging windows, keep your application palettes on it, use it as a digital picture frame, as a dedicated stock ticker display, put your gaming maps on it. UM-80/C/T is great for use with a small laptop or netbook because of its light weight and single USB connection, it can travel with your laptop, no power brick needed!